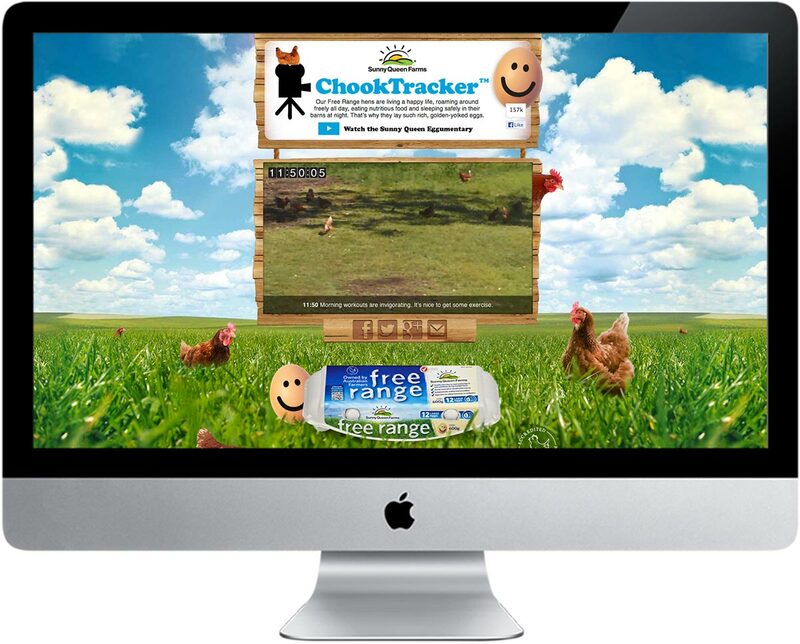 The ChookTracker™ campaign was a world-first webcam/GPS experience designed to prove that Sunny Queen free range hens are genuinely free range. It was a fully integrated campaign that stretched across digital, print and outdoor media. This revolutionary campaign centred on a real Sunny Queen free range hen named Dotty which was fitted with a GPS tracker. The actual data, obtained from the hen’s ranging, featured in the creative. Outdoor was used outside of supermarkets. Sound activated Shop-A-Lites emitted the sound of chooks clucking when people walked by. ChookTracker™ was a huge success. During the campaign Sunny Queen’s national market share grew by 16%. Dotty continues to roam freely on her farm just outside of Pittsworth, Queensland.